Creed II released last week and blasting the box-office over other released movies but later this morning Sylvester Stallone posts an Instagram video of his retirement from the Rocky Balboa character. End of an era, huh. He mentioned the spin-off sequel aka Creed II will be his “last rodeo” as Rocky Balboa. This might a surprise for everyone as Stallone never mentioned this before and the spin-off movies are really doing great, breaking box-office records and getting great critics reviews. One thing could be the reason for this is the story-line set for the Rocky’s health in the Creed II. Stallone has portrayed the character in eight movies and Rocky is the film that launched his career. In the Instagram post’s caption, Stallone wrote: "I just want to thank everyone around the whole wide World for taking the Rocky family into their hearts for over 40 years. It’s been my Ultimate privilege to have been able to create and play this meaningful character. Though it breaks my heart, sadly all things must pass... and end. 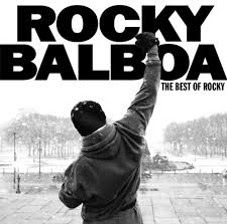 I love you Kind and generous people, and The most wonderful thing of all, is that ROCKY will never die because he lives on in you..."
Well, this must be heart-breaking for the Rocky fans which is one of the most popular character in the film history. But things change as Stallone once said to be retired from the Rocky Franchise in 2006.